You guys, I have been on some sort of weird life journey lately. I have recently been deciding to try out beauty and skincare things that I never have before, and it has been a lot of fun! Today, I am sharing about that one time I decided to go for the gold… the entire process of getting lip injections. Now, let me preface this by saying that I do NOT get things done to my face and body because I am unhappy with my body or because I am trying to make someone else happy. That is never a reason to alter yourself, EVER. I actually really loved the shape of my lips and have never had an issue with them. But, I also really wanted a little bit more volume just for the fun of it and to see what it would look like. *This post was done in partnership with ZONA Med Spa. All of the opinions about the experience are my own. 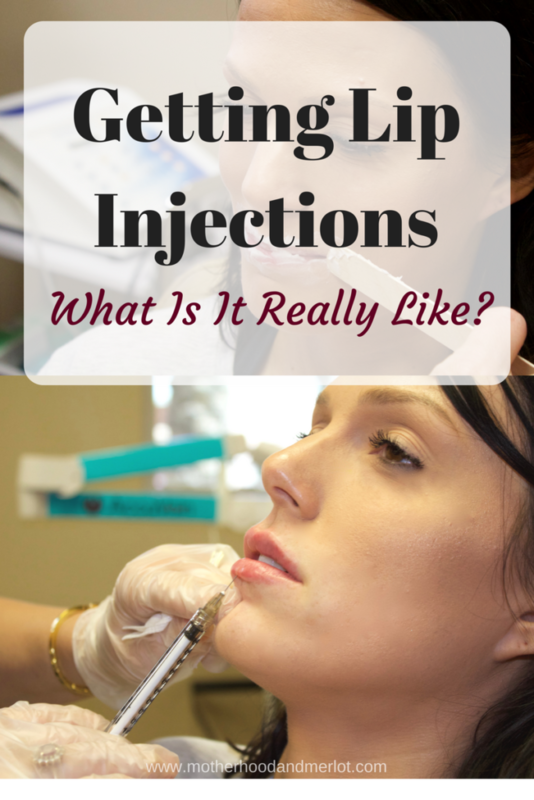 The idea to of getting lip injections is something that I always thought would be fun to try. I knew that the process wouldn’t be fun, but the end results would be! Going in to my appointment at ZONA, I was really excited and much less nervous than I thought I would be. After chatting for a few minutes, Michelle put the numbing cream on me so that it had the maximum time to sit on and around my mouth. I never knew how thankful I would be for numbing cream! Towards the end of the waiting around for the numbing cream to work, I was starting to feel a little anxious. I hated that I couldn’t open my mouth or else the numbing cream would numb the inside of my mouth too… no thanks. Michelle could tell that I was starting to get nervous and she had me sit down and just talked to me about her own experience with fillers. It made me feel so much more comfortable! Before I knew it, we were starting the injections! She began with the top lip and worked from side to side, and then the middle. The first few pokes weren’t anywhere near as bad as what I was expecting. I also have a fairly high pain tolerance (thank you med-free labors), so I feel like that helped. To me, it just felt like a few little pinches on the sides of my lips. 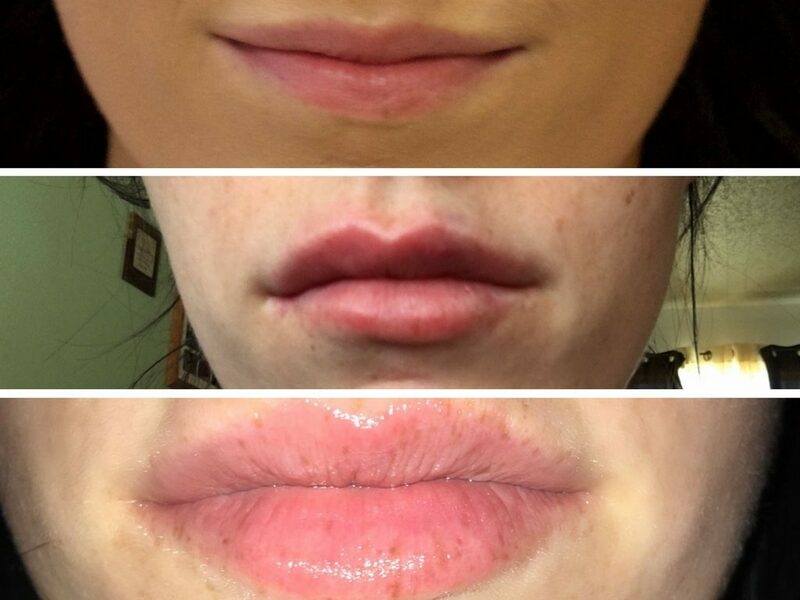 The strangest sensation was when the Juvederm was actually being injected, because I could feel that inside of my lips. It didn’t bother me and it wasn’t painful, just a little bit uncomfortable. The middle portion of the lip was the worst by far. The sides were hardly painful, maybe a 2-3 on a scale of 1-10, but the centers of the lips where the nerves are were not pleasant. They weren’t unbearable, but the pain escalated to a 5 quickly on those injections. Thankfully, they only last for a split second and then they were done. Total, she did about 8 or 9 pokes around my entire mouth. After she did each one, she massaged around the area to make sure that it spread out evenly and that my lips remained smooth and even. The healing portion wasn’t too bad either. The swelling was intense on the first day and night, but it went down after a few days. I had two small bruises on one side of my mouth, but those again were gone in a few days. The first 24 hours after, my lips were a little bit tender but the ice packs that I received at ZONA Med Spa really helped with that, as well as Michelle’s tip to freeze a washcloth and use that. Here are the before, during, and after shots. The during was 24 hours after the injections, and the after was five days later. Overall, the experience was quick and so much less intimidating than people make it out to be! I am so happy with the results and I love that they don’t look fake or too extreme. I would absolutely do it again and continue to get them if I wanted to because the experience was that good! If you are in or near the Arizona area, I would highly suggest going to see Michelle at ZONA Med Spa for any of your skincare or cosmetic wants/needs. Her space and her staff are so professional. She makes you feel so comfortable and eases any nervousness you might be having as well. She took her time and had me keep checking to see what they looked like and if they were how I wanted them to be. She reassessed her work and decided where needed more or if they were perfectly even. I so appreciated all of the attention to detail and it made me feel 100% confident in her work and what she was doing. Here is a video of the process in it’s entirety with some notes from Michelle on what exactly she is doing, why she is doing it, and a few more specifics on the process of getting injections. Check out the ZONA Med Spa Instagram page for more on all of the service that they offer and real life photos of the processes. Plus, if you want to get lip fillers done for yourself, you can mention this post to get $50 off your product! Want to see more posts like this? 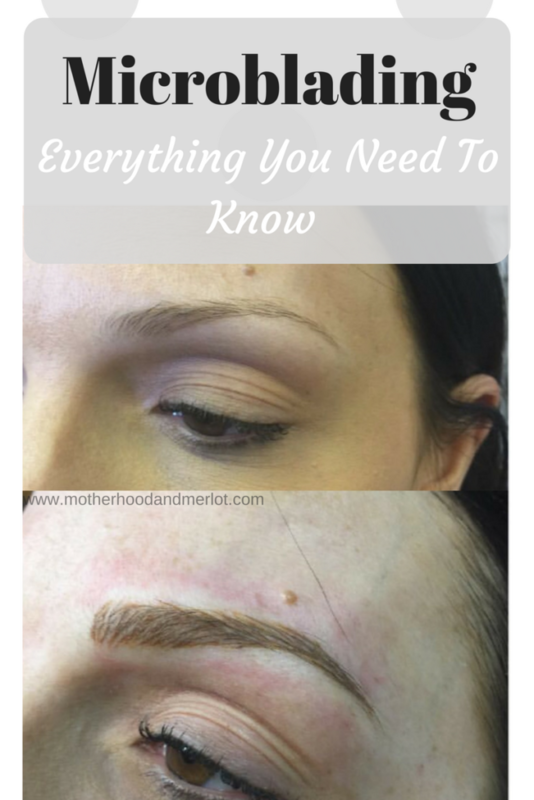 Check out my experience getting eyebrow microblading done! This is so interesting! I didn’t know what the process was like, good to know! My post vanished! That was so exciting. I was saying we should go together next time and u can hold my hand!!! ?? Ahhhh!!! You’re so brave! I am such a wimp when it comes to needles…although I don’t think I’d turn down botox hahaha!! This is really interesting! How cool! Amazing! Really interesting and her lips look beautiful. The picture was probably taken right after the treatment but looks great!